A Kickstarter project which promises to eliminate cold hands for PC gaming and workstation users has achieved nearly triple its initial funding goal with 17 days to go. Furthermore, according to Kicktraq projections, the Envavo Heatbuff is set to rake in over DKK400,000 - its initial goal was just DKK75,000. 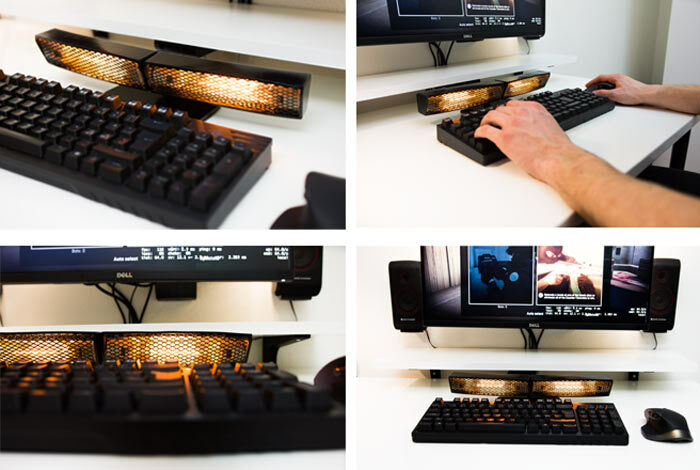 The popular Heatbuff project details a wide infrared heating device that projects its warmth over your keyboard / mousing area. Looking at the pictures the keyboard featured looks like a Coolermaster QuickfireTK, which is only 38cm wide, and the heater is a little bit narrower than this input device. However, its twin heaters can be adjusted and angled from the centre for some peripheral warmth. There's not a lot of tech to explain in the background of this project. 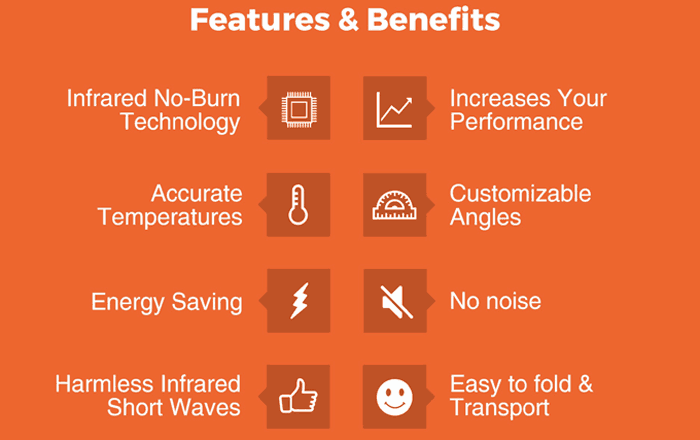 Features and benefits are broken down as in the infographic below, where it's interesting to read as the first point - that infrared short waves won't char your keyboard or mouse. Another key claim is that warmer hands will increase your gaming / typing performance. Apparently it's not just living in Denmark that gives you cold hands. One of the effects of adrenaline, produced by edgy, hectic gaming is that blood is drawn away from the hands (and feet), confirms Dr Lam. With warmer hands, thanks to the Heatbuff, your reactions and comfort should be improved. Envavo intends to ship the Heatbuff to customers in December 2017. Backing the project to the tune of DKK499 ($71 / €67 / £58 plus shipping) can 'secure' one of the final shipping Heatbuff peripherals to warm your chilly hands. Sadly, I know someone who would definitely buy this tat. “The reason your hands are so cold is because of the adrenaline”? WTF, are you serious? The hands gets cold for lack of blood flow, which is kind the opposite of “adrenaline”. Sorry, you are wrong. Adrenaline causes vasoconstriction in peripheral blood vessels (hand/feet), and vasodilation in core blood vessels. This happens because of different receptors (alpha and beta). Consider animalistic and fight/flight scenarios wrt adrenaline… your main organs need more blood flow for intense action, but you need to be prepared for a hand or foot being cut off or bitten. Honestly I do suffer from getting cold hands when gaming on my PC even if the room is warm, regardless of the science behind why that happens maybe they really are on to something here, and I can't be the only one if so many people have backed it. I would definitely benefit from this if it works.